Vegetarians should make a pilgrimage to this divinely cramped boho café in Palermo Hollywood - or pull up a seat in the street for more enjoyable, spacious eating and the chance to watch the world go by. Arevalito stands out for its home-made food and for its daily sandwich special - fit for a king´s picnic. Starring roles go to the four daily dishes on a menu that changes between lunch and dinner, with support from a vegetable tart, a salad of the day and numerous desserts. The pastry on the leek and potato tart we had was close to perfect; crumbly, thick and tasty; and digging into the Brusqueteando con Willis salad was like a voyage of discovery, turning up such delights as goat´s cheese, sunflower seeds, black olives, garlic, parsley, beans, mushrooms, spinach, pear, basil and tomato. As spectacular and delicious as the refreshing lemon pomelade. 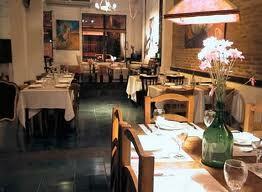 Artemisia´s original branch has long been a classic stop for any vegetarian or pescatarian working their way around BA. On the back of that success, the veggie wonder-workers were inspired to open this second joint on the other side of the barrio´s train tracks. 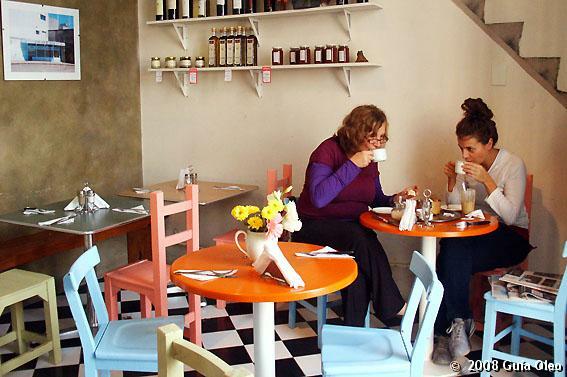 With decor that includes deliberately mismatched crockery and a pantry-style counter laden with tempting home-made breads and muffins, the eaterie has become an instant hit with Palermo´s brunch set. Try starting your meal with an atypical "picada" - that´s atypical in that instead of consisting of ham and cheese, it also includes bruschetta with dips, and the delicious and original addition of beetroot marinated in ginger, honey and thyme. Mains include "polenta" lasagne and Thai-style haddock in a marinade of lemongrass and coconut milk. Delightfully far from the veggie-standard omelette. 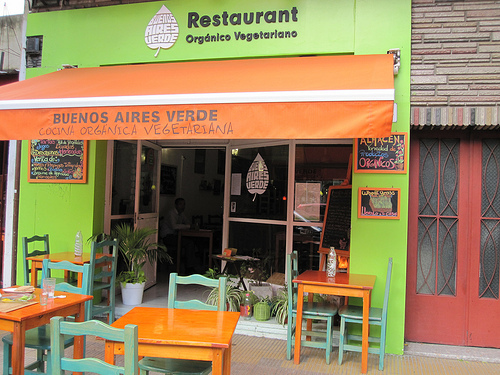 It ain´t easy being green - or vegetarian - in BA, but Buenos Aires Verde pulls off both requirements with aplomb. The hippie aesthetic of paintbox-bright decor and inspirational quotes on the wall belies a suprisingly sophisticated menu. Guests are greeted with a taster shot of the juice of the day, fresh, seeded bread and houmous. For mains, a row of flavourful seaweed and seed rolls comes wrapped around cashew cheese, mushrooms, bean sprouts and goji berries, while the Thai vegetarian curry with spiced almonds is a perfect Asian food fix. Pair it with a smoothie or herbal tea, and be sure to leave room for a slice of the "torta de cacao" (chocolate cake). Kensho blazed a pioneering trail across the closed-door firmament for a number of years and now has a spacious, zen-style home in the city´s vegetarian heartland. Here chef Máximo Cabrera has continued his Argentinian-inspired organic alchemy with bite-sized Chori Nori, which are and I-can´t-believe-it´s-not-chorizo revelation; likewise, the creamy mound of cashew cheese is a lactose-defying feat. 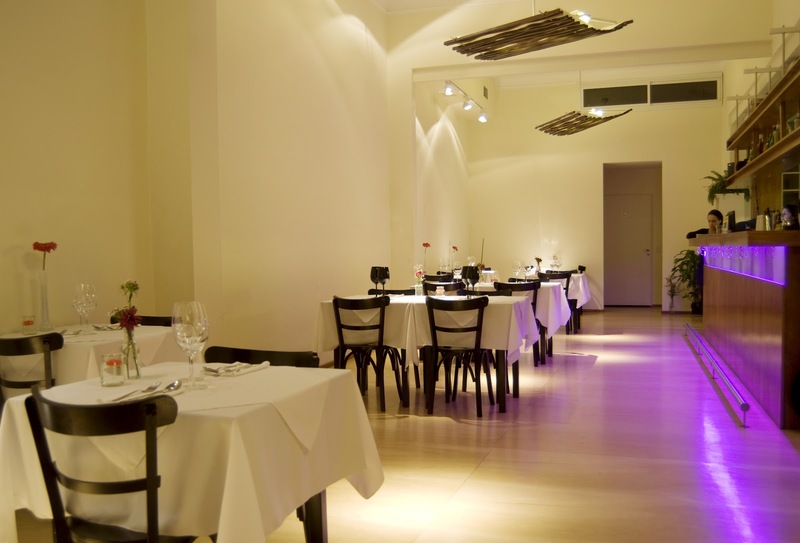 Cabrera´s healthier-than-thou emphasis on a raw, coelic-friendly creations and organic "vino" belies his sense of humour, reflected in dishes such as Crepe Circles, Red Hot Chili Papas and James Brownie. For a night-time treat, the five-course tasting menu is AR$ 160. To spread the good word on all things organic, Cabrera also runs cooking classes on Monday mornings.